Foreign tourists to Cuba either flock to Varadero’s white sandy beaches or give it and its glut of “all inclusive” hotels a wide birth! For visitors who don’t like beach hotels, Varadero is still worth a visit to see the dramatic lifestyle contrast with the rest of Cuba. This narrow strip of beach lined land is bursting with Hotels, and amazingly, still more hotel giants are being constructed cheek by jowl. You can only try to imagine what it will be like in ten years time! 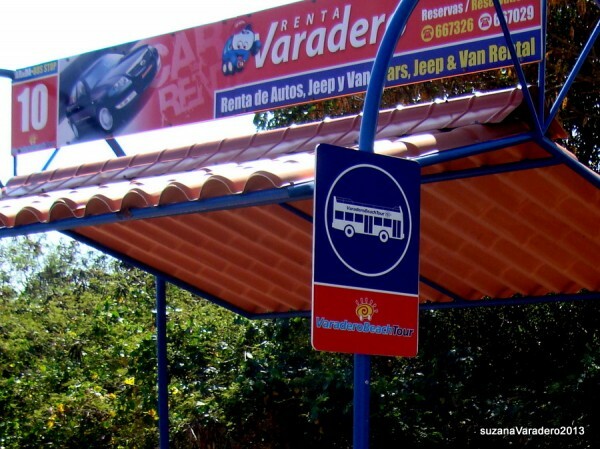 As no Cubans actually live in Varadero, workers are bussed in and bussed out. The only Cubans enjoying Varadero are the ones selling goods on the streets! This is a pricey, tourist only zone! So why come to Varadero?? 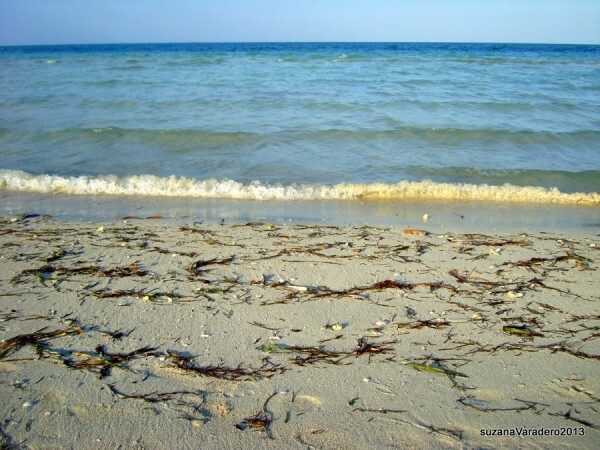 Well luckily there is more to Varadero than the lovely beach if you are prepared to go and look for it. Put it on your itinerary now before it gets completely squeezed out! If you take the “Hop on Hop off beach tour bus” you can get a few glimpses of the sea and, an almost ariel view of the developments on the peninsula. 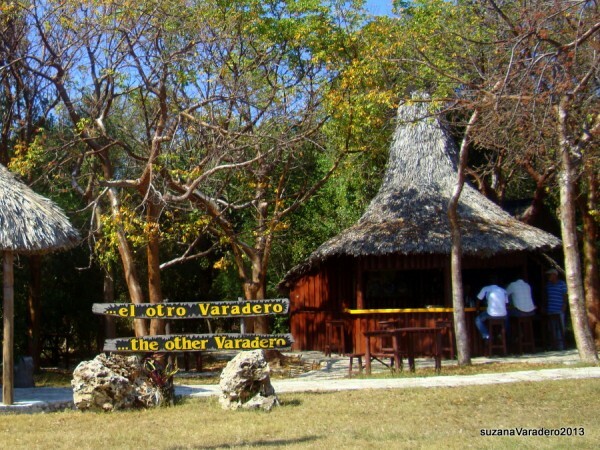 Among the crowded hotels in down town Varadero, dive centres and fishing opportunities are abundant! There is a dolphin centre where shows are put on and it’s possible to swim with the dolphins too. Still in the down town area you find Jonson Park, originally a private residence now a botanical garden with lake and other family attractions in a 9 hectare site. Continuing on, up the peninsula, the Varadero Golf Club at Mansion Xanadu is 18 to 19 hole golf course surrounded by lush green palm trees and makes a refreshing break from the built up area! Golf carts and equipment are available to rent and an 9 hole option or a course of lessons can be yours at a price. 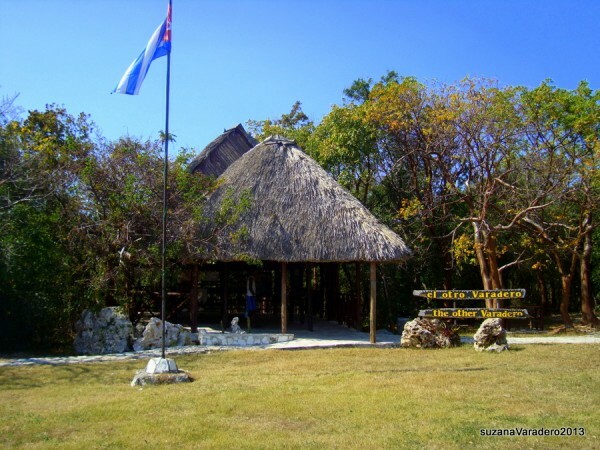 Just beyond this and opposite “Reserva Ecologia Chaplin” you find “Boat adventures” a centre offering a range of water bourn tours exploring the mangroves! 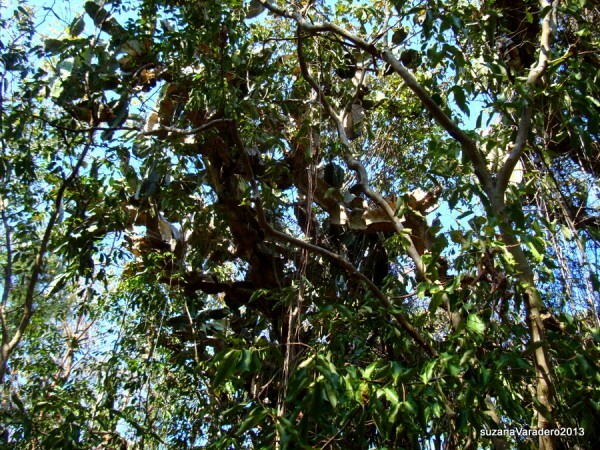 Keep going on the bus till you reach the area called “Hicacos” and the “Reserva Ecologia Verahicacos”, our destination today! It’s a small reserve but it is an attempt to preserve some of the original flora fauna and vegetation currently to be found on the peninsula. 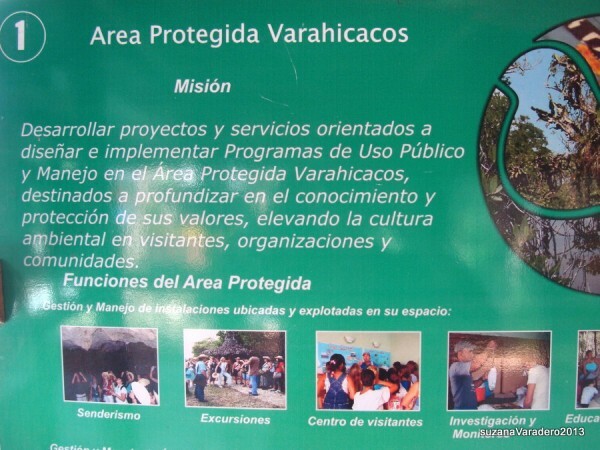 At the entrance there are some well presented information installations in Spanish and English describing some of the highlights and aims of the reserve. Pay your entrance fee and a poor map is provided! But it suffices! Underfoot its sharp coral rocks, so good foot wear is advisable. The paths are adequately marked and the whole self guided tour lasts about an hour to an hour and a half! 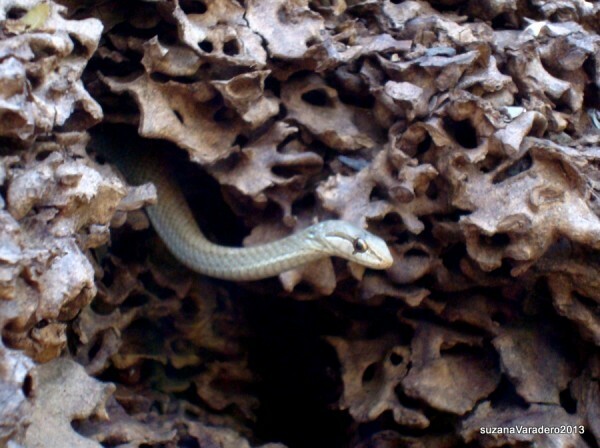 Butterflies and lizards skit off into the undergrowth, while caves, ruins of the salt works and giant cactus are the main physical attractions of the reserve. It’s nice to think about how this part of the island looked before the first building arrived! Your “hop on hop off” bus ticket last the whole day so there is plenty of time to complete the whole beach tour and return down town for a cocktail! Why not come and see Cuba for yourself? Mi Cubita 14 days tour.